Jeddah: When Faisal Banjar founded Arabian Gulf Medical Tourism Agency he secured what he thought was an important contract with the 600-bed Dr Soliman Fakeeh Hospital to bring foreign patients for treatment and capitalise on the $40 billion-a-year (Dh147 billion) medical tourism industry. Eighteen months later he is still waiting to bring his first client to the hospital. Instead, he is sending as many as 20 Saudis a month to foreign countries — mostly to Turkey and Germany — for medical treatment. “Visas are hard to come by for people to visit Saudi Arabia for medical treatment,” Banjar told Gulf News. Arabian Gulf Medical Tourism is one of a handful of Saudi businesses that offer domestic and international medical liaison services between Saudis and foreign patients and hospitals. But virtually all of their clients are Saudis leaving the Kingdom for medical treatment elsewhere. Few foreigners are coming into the country. Saudi Arabia’s nearly $100 billion fiscal budget deficit and its depressed economy is forcing the government to implement a severe austerity programmeme and seek non-oil revenue. The health sector is part of that revenue plan and has been toying with the idea of developing a medical tourism programme. Medical tourism involves patients actively seeking low-cost medical care not available in their native country. It does not include accidents or illnesses that require medical treatment while abroad, but to travel to a foreign country to seek specific care. To boost revenue and create a thriving tourism segment in the private sector the Saudi Commission for Tourism and National Heritage has endorsed a proposal that combines religious and medical tourism to attract the world’s 1.6 million Muslims who often seek spiritual solace during a health crisis. 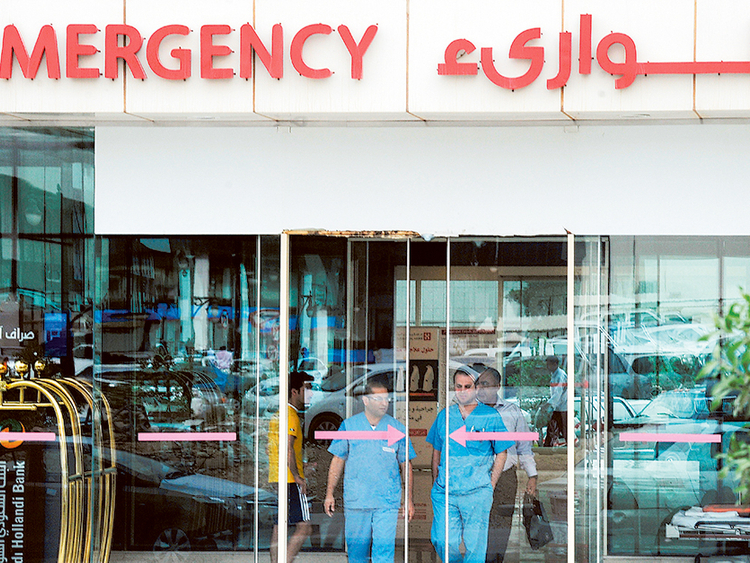 Saudi Arabia has developed a five-year plan to encourage medical tourists to seek treatment in its government and private hospitals, but there has been little input from the private sector to engage in a public-private partnership. According to the Medical Tourism Index (TMI) the Kingdom ranks 37th among the most desired countries to receive medical care. Canada ranks first in global ranking followed in order by the United Kingdom, Israel, Singapore and India. Rankings also show that Saudi Arabia trails Jordan, the United Arab Emirates, South Korea, Thailand and Malaysia, all of which have established specific medical specialities marketed to foreigners. The International Medical Travel Journal reports, for example, that Dubai projects that it will receive 500,000 medical tourists annually by 2020. Although Saudi medical visas remain the primary obstacle to receiving a steady flow of foreign patients, services are available to any individual already in the country on a Haj, Umrah or work visa. Valorie Crooks, Canada Research Chair in Health Services Geographies at Simon Fraser University in British Columbia and scholar at the Michael Smith Foundation for Health Research, cautioned that patients should not be seduced by the perception that one country is more popular than another. Rankings do not necessarily reflect a country’s ability to provide competent treatment, and the reported number of patients visiting a country may be exaggerated, she said. Crooks said she cannot speak specifically about Saudi Arabia, but she noted the kingdom is not “missing out” on large numbers of international patients travelling each year. “In reality, the true numbers of people travelling abroad for medical are likely far less than what those in the industry report,” Crooks said. “Unfortunately this has resulted in many clinics finding difficulty in filling their international patient wards. Perhaps more important is Saudi Arabia’s organ transplant programme. Dr Faisal Shaheen, director general of the Saudi Centre for Organ Transplantation, said transplants jumped 40 per cent in 2015 over 2014. Saudi government hospitals, he said, conducted 1,031 heart, lung, liver and kidney transplants in 2015. But Shaheen said it’s virtually impossible to bring foreigners into the kingdom for surgery because of the 6,000 Saudis and expats already on transplant waiting lists. Yet visitors who hold Haj, Umrah or business visas will discover that costs for other treatments such as paediatric, obesity and eye care, are relatively low in Saudi Arabia compared to its European or even Gulf competitors. Ashok Laguduva, founder and CEO of Anavara Ltd, a London-based medical tourism agency, told Gulf News that low-cost treatment is the primary factor in patients seeking foreign medical care. Rob L. Wagner is a freelance journalist based in Jeddah.